I hate to break it to you: Mesoamerica is in North America. Not to get too pedantic, but "The Church" here is not a single person who's always consistent. The editors of the Ensign in the 80's not to mention the author of that article are quite different from who edits it today and are quite different from what the First Presidency more carefully goes over (such as in these essays). It seems a bit misleading to conflate them all. While I'm a bit skeptical of some of the linguistic Hebraisms in the Book of Mormon for a variety of reasons I've mentioned before, it seems fair game, as is articles (also in the Ensign) about mesoAmerican settings. That said I think it quite clear that it's unclear where the Book of Mormon took place, even if it seems unlikely it was far outside of the southern Mexico to Guatemala region. But we don't know with any confidence and it's not inappropriate to note that. Especially when people tend to get polemical and political over the topic. Dr. Sorenson stated his geography theory consisted of "just a few hundred miles in length and width, bounded on two sides by oceans" within Mesoamerica. "Enthusiastic comments published at Nauvoo showed that the Church’s leaders, including Joseph Smith, were immensely stimulated by the new information. Within a few weeks of the first notice, they announced they had just discovered, by reading Stephens’s book, that the Nephites’ prime homeland must have been in Central, not South, America." I provided a link for you since you're now responsible for your own learning. This is what is being taught to students and future missionaries, that the Book of Mormon is akin to fiction with a fantasy map similar to The Lord of The Rings. Seriously, they won’t use a map of the Americas. The BYU site says the Church is neutral on Book of Mormon geography (so they are alos), yet here the developers work for Book of Mormon Central which promotes the Mesoamerica geography. I’m not singling these two gentleman out; I’m showing the hypocrisy and collusion. This has nothing to do with Church Leadership, but only with BYU/CES employees who are caught up teaching this Mesoamerica nonsense, more likely out of fear for their jobs and career, than in actually believing The Book of Mormon is a fantasy all because of the frivolity of the Mesoamerica theory. Do you believe anyone who has studied the BoM in depth and suggests a Mesoamerica location for most of the action, if not all, is "more likely" lying and actually a nonbeliever in BoM historicity? I'm familiar with Sorensen's work. Nowhere will you find Central America listed as a continent. The bridge over the America's links South America and North America. Burnside, the map you show is an attempt to position cities etc. according to the text itself. The student can then place that overlaid upon anywhere he likes, be that New York, Guatemala ,all of North and South America , or for that matter , as Ralph M suggests, south east Asia. You call it a fantasy map. I call it an approximate model. I don't see anything wrong with a theoretical map. I think the Niagara peninsula is more consistent with the Book of Mormon's account. But the evidence is so thin it really isn't worth discussing. Where does the legend of Zelph fit into BOM geography? Hypocrisy, collusion and lack of faith in the Book of Mormon because one does not believe in the Sorenson model sort of speaks to the fundamental problem with Dr. Sorenson's work. You are indeed correct. My paper on the subject (see cite above) notes that. Certainly a major fact contraindicating the Church's published stance on geography. I am in close relationship with one BYU professor of major distinction in Church history and theology, and he is firmly wedded to the Sorenson model. I strongly believe he had much to do with that publication in the Ensign. FARMS was created, in part, to advance the Sorenson model. FARMS was acquired by BYU. But, my paper traces some of Dr. Sorenson's proofs to argue that they are frivolous. To the extreme, in fact. What do my thoughts mean to the Latter-day Saint who believes in the Book of Mormon? Why do I advance my thoughts against the Sorenson model? I believe the Sorenson model was developed to defend against the claim that there is no real hard evidence of a Book of Mormon civilization in the Americas. The Sorenson model draws the theoretical basis for the Book of Mormon's history to such a narrow area that it suggests that finding nothing elsewhere is meaningless. The Sorenson model is a sort of backhand slap to a belief in the Book of Mormon as Joseph Smith saw it. My paper documents a few efforts to attack Joseph Smith. I think that because Joseph Smith saw the Book of Mormon to be a hemispherical text, as that is the promise of the new land and New Jerusalem, we should have faith in that promise. We should have lots of faith in the text of the Book of Mormon and a lot less faith in the collateral theories meant to develop it. Part of my thinking is based, in part, upon Brant Garnder's two-volume text focusing upon the Hebrew influence on the Book of Mormon. As to what the D&C offers on what God would reveal, I notice two very specific conditions regarding revelation. Asking, and Expedience. I'm merely suggesting that we could get D&C Section 139 that reveals the location of three or four New-World Book of Mormon cities or events, and it would mirror D&C 116. Spring Hill is named by the Lord Adam-ondi-Ahman, because, said he, it is the place where Adam shall come to visit his people, or the Ancient of Days shall sit, as spoken of by Daniel the prophet. "Montrose, Iowa, is named by the Lord 'Zarahemla', because, said he, it is the place where ancient Mosiah ruled as king as told in The Book of Mormon." Certainly, President Nelson could ask. As for being "expedient", it appears to be expedient enough for the Church to issue a statement about it. So it's important to somebody. Of course, placing the Book of Mormon lands within a limited region like Mesoamerica requires that we take a fresh look at some of the long-standing questions that have been of interest to Book of Mormon readers. For example, how did the plates of Nephi get from the final battlefield near the “narrow neck of land”11 to where Joseph Smith obtained them in New York? Here the Book of Mormon sheds no light. One obvious possibility is that Moroni himself may have carried the records to New York during his thirty-six years of wandering between the extermination of the Nephites and when he last wrote on the plates. (See Morm. 6:6; Moro. 1:1–4; Moro. 10:1.) Or he may have taken them there as a resurrected being. We only know that, whatever the means, in 1827 the plates were in the “hill of considerable size” near young Joseph Smith’s home at Palmyra, New York, where Moroni delivered the sacred record to him. I'm sorry, Sorenson, but that has never been a question for Book of Mormon readers. It has always been assumed that the plates got there because Moroni was in the area and buried them there after the final battle. It only becomes a question when the Mesoamerican theory posits that the final battle took place thousands of miles away (and that the Hill Cumorah in the Book of Mormon was also thousands of miles away from New York). The article also really punts on the "Two Cumorah" issue, which I suspect was a bridge too far for the Ensign to broach. No where is it stated clearly that in order to believe in the Mesoamerican theory, you have to believe that the Cumorah in the Book of Mormon is a totally different hill than the one near Joseph Smith's house. If remember correctly, the “Two Cumorah” theory was promulgated in the Tennis Shoes among the Nephites book series. I think that’s where I first heard of it. Coasting on unexamined assumptions has never been a particularly fruitful way to discover anything. We could assume that names are both unchangeable constants and unique, emanating from the objects and persons from which they spontaneously arose, the same to all observers and never ever being applied to anything else. But oddly, I do not make that assumption which is why I never confuse the Bountiful where Nephi built his boat, and Bountiful where another Nephi described the temple where Jesus descended, and the Bountiful where I was born. Call me naive but I've never had any existential crises over that replication of names. Should I have done so? We could keep the three Bountifuls straight easily by considering things like text and context and the well known tendency of people to apply old names to new places. But why muddle the waters with relevant information? And then there are the different Almas, Nephis, Lehis, Jerusalems... The hysteria over Two Cumorahs is just that. What makes a theory useful is not just that is airy-fairy and insubstantial, (a mere "theory") but that it is specific and testable and accurate, detailed, comprehensive, fruitful, aesthetically pleasing and simple, as well as promising in dealing with any unresolved issues. While Sorenson's two part series did not go into a lot of detail on Book of Mormon issues, other sources do. See Sorenson's Source Book, and Sperry's essay, and Mormon's Map, Palmer's book, and John Clark's careful examination of relevant Book of Mormon passages, for instance. And Larry Poulson. But Sorenson's critics, especially the knee jerk sort, never bother to make careful accounting of the Book of Mormon text. It was careful readers of the Book of Mormon, who wanted to account for things like the account of Limhi's explorers and Alma the Younger's people going between Nephi and Zarahemla and the specific mention of 22 days of walking, and the movements described in the parts of the Book of Ether (Sperry goes into that). And the military movements in Alma and Helaman. As well as specific constraints like their relations to cities built of cement to the north, and a narrow neck, and further south, a narrow strip of wilderness that stretches from the east sea to the west sea that comes between Zarahemla and Nephi. (check Google earth for candidates for that feature... I can think of only one in all of North and South America. And that narrow strip of wilderness has to include the source of a Sidon candidate, which then flows first from east to West, then goes north, and has enough velocity that it can take dead bodies down stream. And things like written language, high culture, volcanic activity at the right time and place, etc, etc. Oppressive heat at the New Year. (And that points unambiguously to the vicinity of the Buffalo, NY area?) The details in the Book of Mormon have led some careful readers to question the un-examined assumptions of early readers. We know that the early readers of the Book of Mormon did not look carefully at the Book of Mormon because they left no record of having done so, and even the comments added by Orson Pratt had to be removed because they were so obviously wrong. The first serious attempt to be comprehensive appeared in 1938. (The Washburns). If the comments of early Saints were based on revelation, then they should match the accounts of the authors of the Book. If they don't, that is not grounds for crisis, but confirmation of D&C 1 and the blunt statement of LDS leaders that "inasmuch as they erred, it shall be made manifest." While some prefer to do Book of Mormon geography by means of references to informal letters mentioning the plains of the Nephites, or inconsistent campfire gossip about a character who does not appear in the Book of Mormon, or a few early applications of the name Cumorah to what Joseph initially described as an un-named "a hill of considerable size", I think it the actual text of the Book of Mormon deserves some close consideration. Incidentally, Joseph Smith made some pointed complaints about the Saints who go all to pieces when they come across anything challenging their traditions. He also talks of having to withhold information on grounds of the vulnerability and un-readiness of his listeners. Expedience, you see. And rather than accept the notion that Asking (backed by Study) combined with Experience from God's perspective are conditions for revelation, some have always sought the leverage of supposing that if there is a God, He would always act and behave the way I think he should. For instance, when Lazarus died, some argued that if Jesus were who he claimed to be, he ought to have prevented that. The unfulfilled condition is a cheap argument. The unstated part of the argument is that as I am God ought to Be. But stating it plainly tends to cast too harsh a light on the speaker, who typically, and rather obviously, is not God. I think the obvious differences are that Adam in Missouri consisted of at best a small community of a few people. Initially just Adam and Eve and then later them, a few kids, grandkids and any others they encountered. i.e. just akin to a small nomadic family unity. The Book of Mormon by contrast describes large cities, walls, extensive writing, wars and a lot else. Things not in the US. Further specifying a location in Mexico/Guatamala as I mentioned earlier entails obvious claims for ruins. I don't want to say God couldn't give a public revelation on the subject, just that if he did so the consequences would be much larger than D&C 116. Again, generalized statements don't fly here with me. I'm not convinced. It is not different than saying that absence of proof is not proof of absence when, in fact, it is. I wrote a paper too (it was even published). 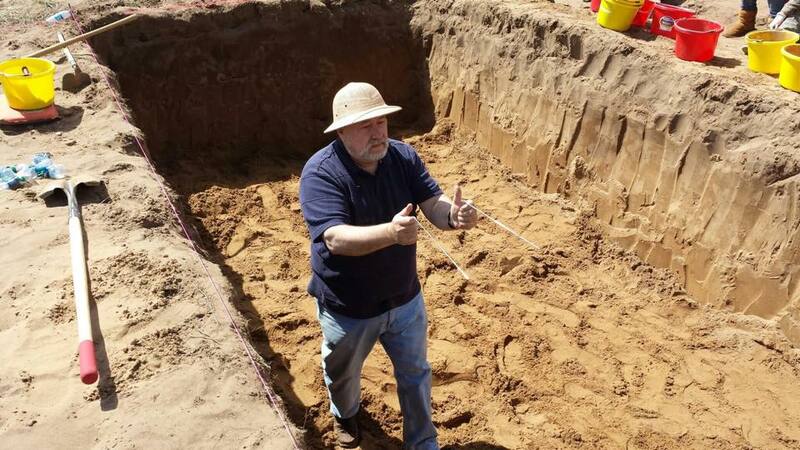 Wayne May's credentials: he played in a sandbox as a child, thus he is an expert. I no longer believe in a LGT in Mesoamerica (psst, yes I still do), I am gonna promote the Belzebub out of Ireland. The shamrock really never was a tool of St. Patty to show the Trinity to a Viking King (psst, yes it was), it is actually a secret map that has the west/east sea and a narrow neck. One prong of the shamrock for Lamanites, the next prong for the Nephites, and the last prong for all other Ites. There, must be true (psst, not really). Oh, and Zelph was a Leprechaun. Why then a fanstasy map? It doesn’t help students of BYU/CES or investigators of the Church to claim a fantasy map describes the location of the land of promise. Do you think the BYU fantasy map describes the location of the Land of Promise? Go to 1 Nephi 18 then 19 and watch how Nephi’s ship travels from a modern-map of Arabia and arrives on the west coast of the Fantasy Map. 😁 I never seen anything so stupid. In response to the claim The Book of Mormon was plagiarized from an unpublished manuscript by Solomon Spaulding, Oliver Cowdery under the direction of Joseph Smith wrote eight letters or essays describing the rise of the Church. For example in Letter IV you’ll find a different description of the Angel Moroni, for example, wearing a robe without a seam. Joseph Smith asked WW Phelps to publish them, in the then Church publications, which he did. Joseph Smith also asked that these letters be included in his personal history, thus they are found in the Church’s JosephSmithpapers.org. https://www.josephsmithpapers.org/paper-summary/history-1834-1836/90 - this page and the precious explain the location of the final battles. The account of Zelph, in Illinois, as described by the Prophet was he was killed in one of the many battles leading up to the final one at Cumorah. You should recall these battles happened during the entire life of the Prophet Mormon, thus a long period of time. Letter IV, I beleive it is, also states the Angel Moroni told Joseph Smith that the record was [both] written and deposited not far from his home. In other words, it wasn’t written in another location then transported to the Hill Cumorah; which rules out a two-hill theory. Read the letters for yourself. They’re not long. I don't think he does fit in. The Book of Mormon tells of people leaving the group to other places. Hagoth built ships and people moved away. I am sure groups of people decided to go on a long trip and never came back. Zelph could be just part of these "satellite" Nephites groups that lived perhaps thousands of miles away from the main group spoken of in the Book of Mormon.